1987: EPEA (Environmental Protection Encouragement Agency) Hamburg was founded in 1987 by Prof. Dr. Michael Braungart – the founder and former head of the chemistry section of Greenpeace. The word “Encouragement” represents a contrast to the term “protection”, which refers to “U.S. Environmental Protection Act “. A cornerstone of the EPEA philosophy is to advocate strongly for cooperation between relevant organizations, industry and government. The first orders of the Institute enforce: For Greenpeace halogenated hydrocarbons were evaluated in a project. For Ciba-Geigy (now BASF), it was to establish a method for the evaluation of chemicals. These early examples featured a strength of EPEA, namely the ability to work independently and critically with the industry. 1987 – 1992: Development of the methodology IPS: In articles and conferences EPEA communicated their thesis that environmental sustainability can be achieved when consumer products are made for a closed loop cycle. The methodology of Intelligent Products System (IPS) has been developed between 1987 and 1992 and adopted and refined continuously by an increasing number of companies. On issues of waste management and related areas, EPEA demonstrated why the IPS method represented a benefit and how they could be applied. EPEA advised municipalities, businesses and citizens’ initiatives on topics such as incinerators, landfills, soil renewal, wastewater treatment and assessment of water and air pollution. These activities were extended by evaluating products from consumer goods industries. Since 1992, EPEA in Hamburg, London, New York, Moscow and Sao Paulo are working on building a global network EPEA. In 1994, the existing corporate structure was replaced through the “EPEA Internationale Umweltforschung GmbH,”. From 1990 to 1994, the subsidiary “EPEA Ltd.“ worked, in New York. Prof. Dr. Michael Braungart is the founder and director of EPEA Internationale Umweltforschung GmbH in Hamburg, co-founder and director of McDonough Braungart Design Chemistry (MBDC) in Charlottesville, Virginia (USA) and scientific director of the Hamburg Environmental Institute. Together with the American architect William McDonough, he has developed the Cradle to Cradle ® concept, which forms the basis of his work with MBDC and EPEA. Both companies, EPEA and MBDC, share a common value of intuition which includes intelligent, aesthetic and eco-effective design. The activities are research on product optimization with the Cradle to Cradle ® – concept. 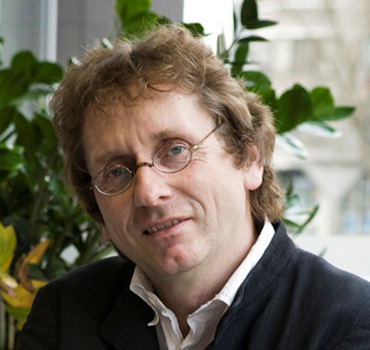 Since autumn 2008, Prof. Braungart holds a chair at the Erasmus University in Rotterdam, NL,for which a Cradle to Cradle ® Chair was specially created. Furthermore, since 1994 he teaches as a professor of chemical engineering at the University of Lüneburg, where he heads also an interdisciplinary master’s program for material flow management. In 2002, he lectured several semesters as a visiting professor at the Darden School of Business, Virginia (USA), where he taught subjects such as eco-effective and eco-efficiency, Cradle to Cradle ® design and “Intelligent Materials Pooling”. 1993: Beginning of the development of the compostable upholstery fabrics Climatex ® (www.climatex.com), the first Cradle to Cradle ® products worldwide with Albin Kälin, CEO of Rohner Textil. 1995: Launch of Climatex ® Lifecycle products on the American market by Designtex. www.designtex.com. The collaboration between the architect William McDonough and chemist Michael Braungart in New York, resulted in 1995 in the founding of McDonough Braungart Design Chemistry (MBDC) in Charlottesville, Virginia, USA. William McDonough is founder of William McDonough + Partners, a leader in sustainable development since 1977. McDonough developed ecologically, socially, and economically intelligent architecture and planning in the U.S. and abroad. Together with the German chemist Michael Braungart, he is co-founder and owner of McDonough Braungart Design Chemistry. McDonough Braungart Design Chemistry works with companies that have an annual turnover of more than a billion dollars. The company supports customers in implementing their scientifically-based Cradle to Cradle ® design protocols. 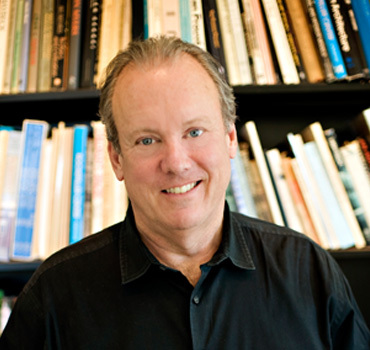 William McDonough joined 1999 the position of Dean of the Faculty of Architecture at the University of Virginia. He currently serves as an AD White Professor-at-Large at Cornell University, Alumni Research Professor at the University of Virginia Darden Graduate School of Business Administration and is a professor of architecture at the University of Virginia. For his ideas and efforts William McDonough receives the 1996 Presidential Award for Sustainable Development, the highest environmental award in the U.S. in honor of President Clinton. 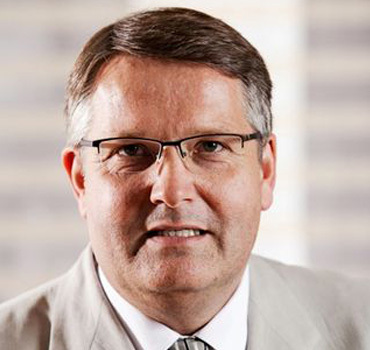 Albin Kälin is founder and CEO of EPEA Switzerland GmbH started in 2009. Kälin implements Cradle to Cradle ® projects in all industries in the Alpine Region, particularly in Switzerland and Austria andin accordance with his core competence in the textile industry worldwide. From 1981 to 2004 he was Managing Director of Rohner Textil AG in Switzerland. Under his leadership, the company won since the 90s 19 international design awards and acknowledgments and thereby receives recognition in environmental and economic concerns as a world-renowned pioneer. On his initiative, the company certified in 1996 in ISO 14001 and EMAS. At the same time in 1993 he stimulated the development of the product line Climatex ® (www.climatex.com) and thus the first Cradle to Cradle ® products worldwide. Albin Kälin was awarded in 2001 with UBS Key Trophy as the Rhine Valley Entrepreneur of the Year. From 2005 until the end of 2009, he took over the management of EPEA Internationale Umweltforschung GmbH in Hamburg. Since 2007 he operates in addition with the support of the scientists to the intensive development of the business field Cradle to Cradle ® in the Netherlands. He takes over the management of EPEA Netherland, founded in 2008. With the founding of the EPEA Switzerland GmbH, he resigns as CEO of EPEA in Hamburg and from the Netherlands. 2001: The first book: Cradle to Cradle® Remaking the way we make things. 2006: The film “Waste = Food” of Rob Van Hattum was launched. It won several awards: 2006 Beijing International Science Film Festival (Silver Dragon), 2006 International Documentary Film Festival Amsterdam, 2007 International Science Film Festival, Athens. 2010: The Cradle to Cradle Product Innovation Institute opened in 2010 in California. The Institute’s goal is to support and accelerate the transformation of the products and the industry along the way. The Cradle to Cradle Products Innovation Institute is accredited by the State of California “non-profit U.S. organization” for the global certification of all Cradle to Cradle ® products. In 2012 the certification rights were transferred to the Cradle to Cradle Product Innovation Institute. Opening of the European Office in NL-Venlo. 2013: Cradle to Cradle Version 3.0 published by the Cradle to Cradle Product Innovation Institute. The new book is published written by William McDonough und Michael Braungart: The Upcycle – Beyond Sustainability – Designing for Abundance.